Kathy Scully, of Alexandria, VA, died peacefully on September 25, 2018 from complications of a Alzheimer’s dementia and a severe stroke. Kathy was born November 8, 1928 in New Rochelle, NY to Mary Kevin Brod and Dr. B. Harold Brod. Kathy was raised in New Rochelle and graduated from Isaac Young HS and The College of New Rochelle. She lost her father when she was nine years old and grew up with her older brother James, her younger brother Robert and her indomitable mother, Mary. Kathy received a Masters degree in Speech Therapy from Catholic University in Washington, DC in 1949; did additional graduate work at Columbia University and then taught school in Mount Vernon, NY. On August 18, 1951, she was married to Robert E. Scully at Blessed Sacrament Church in New Rochelle, NY. In 1955, Kathy and Bob moved to Springfield, PA where they raised their four sons, John, Robert, Thomas and William. Kathy was the consummate mother. She was actively involved in all of her sons’ school and sports activities at St. Kevin’s School and Archmere Academy. She was a Cub Scout Den mother, board member of the St. Kevin’s CYO and belonged to the Springfield’s Woman’s Club. 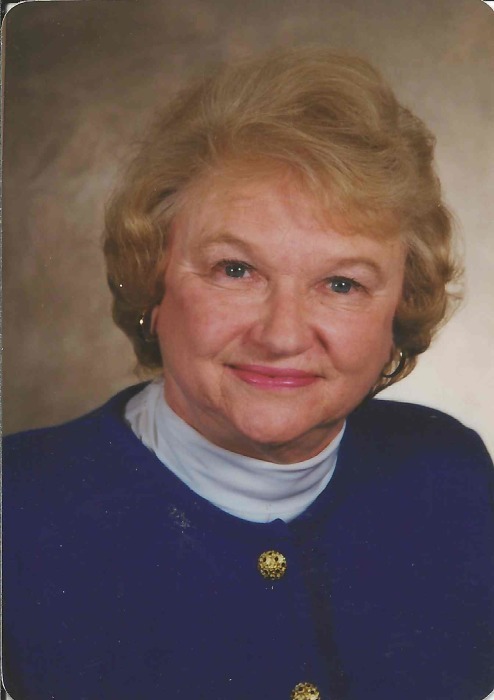 She was active in the Republican Party and served on the Springfield Township Library Board for 37 years and the Delaware County Library Board for 15 years (though she was teased by her family for not being a particularly avid reader). In 1976, she embarked on a real estate career. She began as a residential real estate agent with Carl Schmidt in Springfield and in 1979, received her broker’s license and moved to the Fox & Lazo office in Media. Due to her hard work and gregarious nature, Kathy was extraordinarily successful. She was regularly among the top agents at the firm and for nine straight years, she as the top agent in the Media office. In 1986, she was awarded the coveted President’s Cup for Excellence – a silver bowl given to just one out of 1,200 agents a year. During those years, Kathy served on the Board of Directors of the Delaware County Realtors for 6 years and on the Board of Directors of the Delaware County Private Industry Council for 10 years. After 50 years in Springfield and 30 years selling real estate, Kathy left Springfield in 2006 to move to Goodwin House in Alexandria, VA. Once at Goodwin House, she became an active member of her new community. She joined the Singing Seniors Chorale and the Goodwin House Players. She also served on the Finance Committee of the Goodwin House President’s Council. Kathy was immensely proud of her four sons and her real estate success helped fund college and graduate school expenses for each of them. John (J.T.) graduated from the University of Delaware and received an MBA from Temple University. Robert (Bob) graduated from the University of Virginia and earned his law degree from the Villanova University School of Law. Thomas (Tom) also graduated from the University of Virginia and earned his law degree from The Columbus School of Law at The Catholic University of America. And William (Bill) graduated from Dartmouth College and earned an MBA at The Wharton School at the University of Pennsylvania. Kathy is survived by her younger brother, Dr. Robert C. Brod of Wallingford, PA; her four sons – J.T. and Bob in Vienna, VA; Tom in Alexandria, VA and Bill in Rye, NY; and her 11 grandchildren: Brendan, Sarah, Robert, Alicia, Julia, Taylor, Kathryn, Brianna, Danielle, Annabelle and Alexa. A Funeral Mass will be held at Blessed Sacrament Church 1427 West Braddock Road, Alexandria, VA 22302 on Thursday, October 11th at 11 am; followed by a reception at Belle Haven Country Club (6023 Fort Hunt Rd, Alexandria, VA 22307).